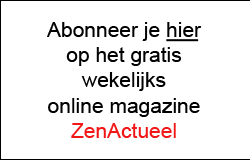 The introductory course offered by Zen.nl Amsterdam will teach you the basics of zen meditation. You will learn how to embed the practice of meditating into your daily routine. Our teaching method focuses on putting zen philosophy into practice and on applying zen principles to situations that occur in our daily lives. The course will cover a number of practical topics such as dealing with stress, developing awareness, making decisions, and facilitating enduring (rather than temporary) happiness. The meditation training we offer at Zen.nl Amsterdam has been used throughout the Netherlands for more than 30 years and has proven to be effective at enabling people to function better in their daily lives and to lead happier, more fulfilling lives. The introductory course will start in the second week of February 2019 and will run until the end of June (a total of 17 lessons).